LADIES CLARKS ACTIVE AIR WEDGE KHAKI SUEDE ANKLE LACE UP BOOTS HIPPI FESTIVAL. Condition is Used. Dispatched with Royal Mail Signed For® 2nd Class. 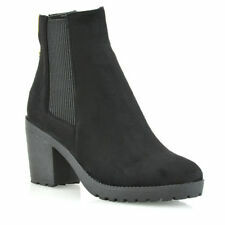 New listingALL SAINTS ankle boots UK 6 Euro 39. Used. Bought for £248! ALL SAINTS ankle boots UK 6 Euro 39. Used. . Condition is Used. Dispatched with Royal Mail 2nd Class. Open to offers. Ladies low heel ankle boots 7. Condition is Used. Each shoe has a number of scuffed and dark marks from previous use. Light discoloration on leather in places. However, they still have a lot of life in them. Dispatched with Royal Mail 2nd Class.